Chef Moon, owner of Chabaa Thai Bistro was starting a new concept, Binto—a Thai market and cafe for lunch and to go foods called Binto. 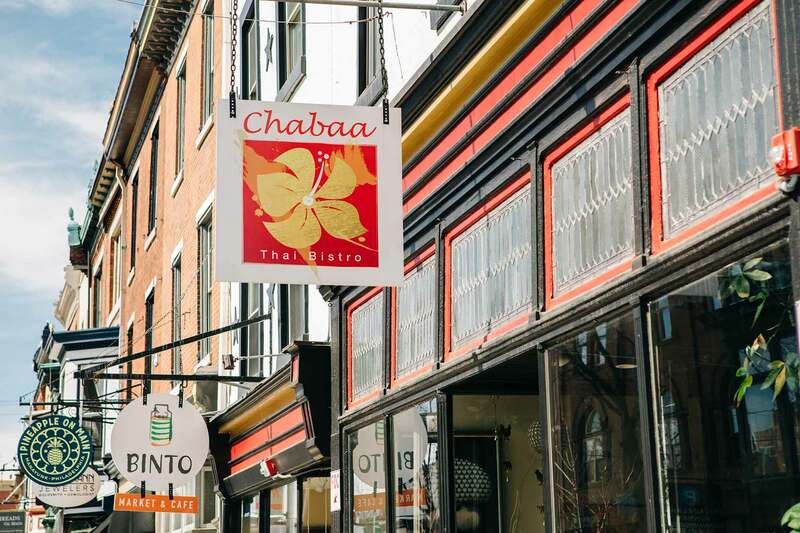 Chabaa Thai was moving locations to a larger space where it would sit beside Binto, so with it’s reopening, Chef Moon took the opportunity to rebrand Chabaa Thai for a more current, artful and eye-catching aesthetic. 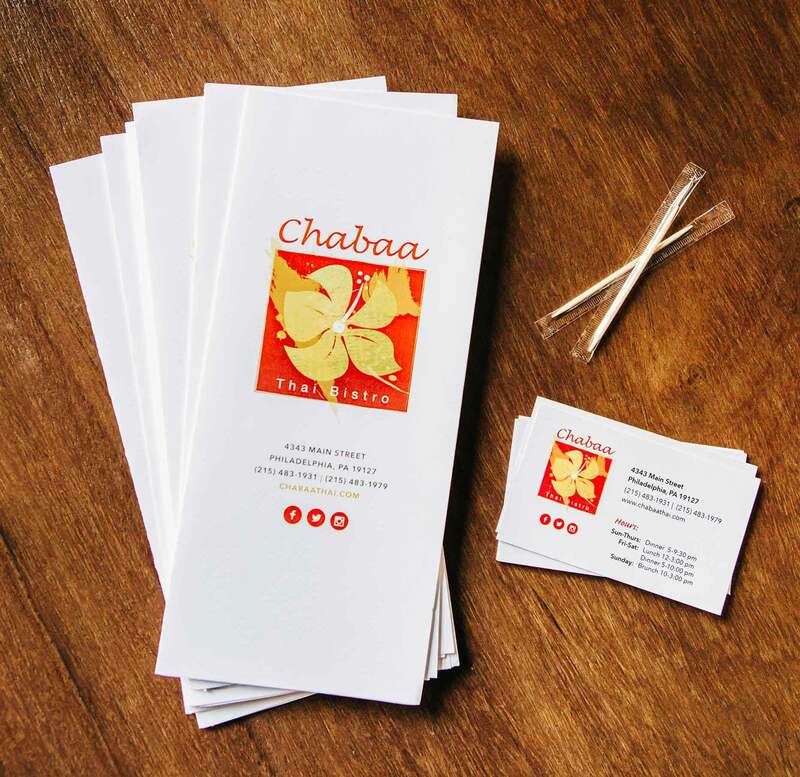 Chabaa’s original logomark was the sillhouette of a hibiscus flower, bending from a curved stem. The design was brown on a dull gold background. SSC developed a new concept for the rebrand by eliminating the stem, turning the hibiscus flower to point upwards, eliminating the bent stem, brightening the gold and introducing red to really stand out. Golden brush strokes and rough edges on the encompassing box create a plafulness while the color scheme and stark color contrast keep the brand feel of an upscale restaurant. 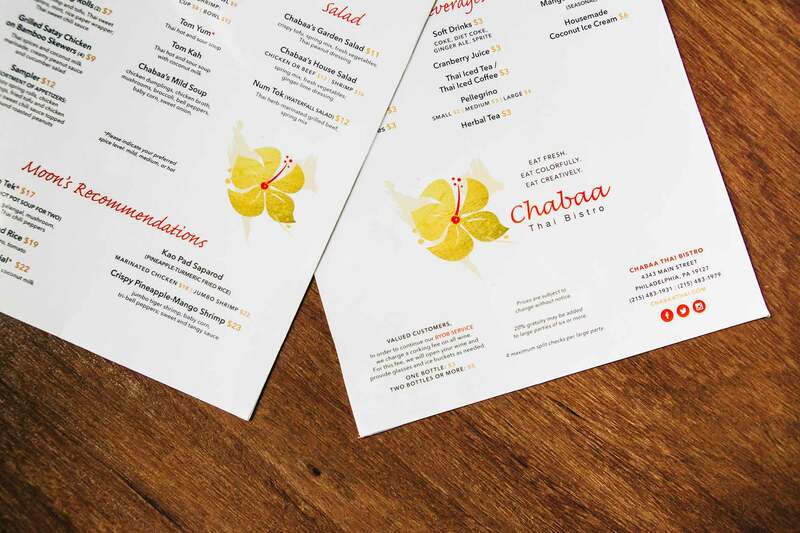 SSC designed accompanying menus, signage, business cards, promo cards, posters and ads for the reopening of the space. 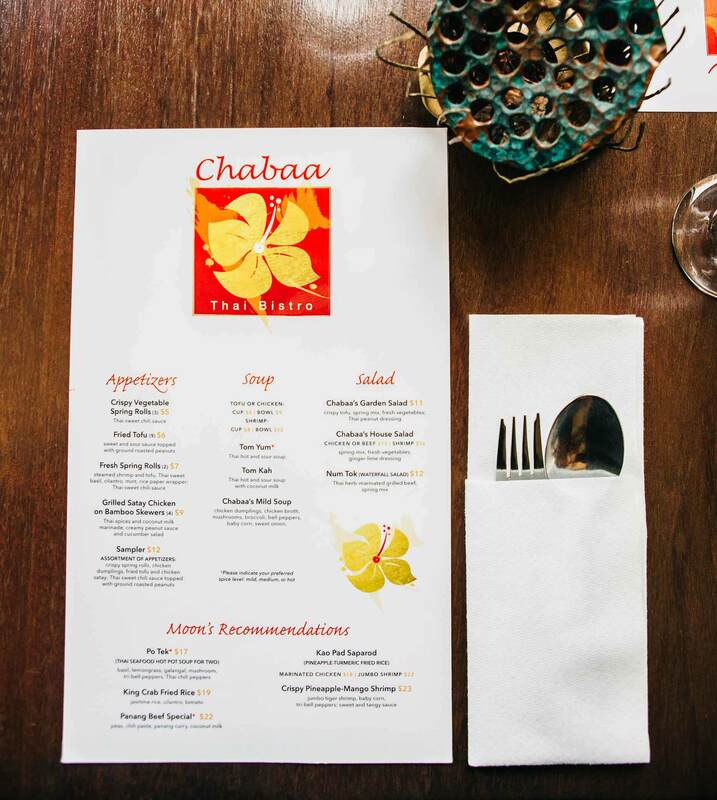 "Over the years I have tasked Sarah with spearheading multiple branding campaigns for my restaurants, and the designs she has delivered have always exceeded my expectations. She has a keen eye for details, wonderful creativity, and her dedication to her work is exemplary. Sarah is able to take my scattered ideas and translate them into clear, beautiful images that not only capture my vision, but my brand. 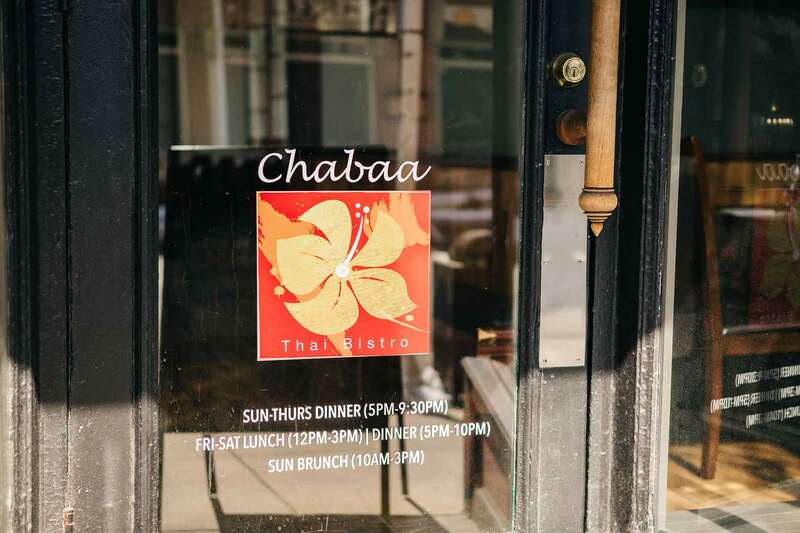 For Chabaa Thai, specifically, she transformed an old, mundane logo into a modern and lively image that illustrates the true essence of the restaurant. She also helped me seamlessly—from a visual perspective—tie my new market, Binto, to the Chabaa Thai brand. Sarah always listens patiently to my point of view, but isn’t shy about asserting her expertise, which definitely helps achieve a successful final design.The quality of her work for print, online, and various other applications shows how much time and effort she puts into all aspects of her projects. I truly appreciate Sarah’s friendly and easy-going disposition, which made my life a lot easier during “crunch time”; especially the fabrication process. Sarah is very resourceful, too. I like to say she is my one-stop shop for all things graphic design. I couldn’t recommend her more!"